FEELING ANXIOUS, PANICKY OR TENSE? We’ve all come across a dangerous or stressful situation which provoked feelings of panic, anxiety and fear in us. These feelings are completely natural and usually don’t occur often. However, if you have anxiety issues, these feelings occur regularly and can strike at any time, causing distress and leaving you feeling powerless and out of control. Anxiety can produce unpleasant side-effects like difficulty concentrating, restlessness, rapid heartbeat, trembling or shaking, feeling light-headed or faint, numbness or nausea, sweating, avoidance1-3 and if unattended can cause difficulties in your relationships, at work, and in your mood. If this sounds like your experience, then know that you are not alone; anxiety is one of the most common reasons people seek therapy. 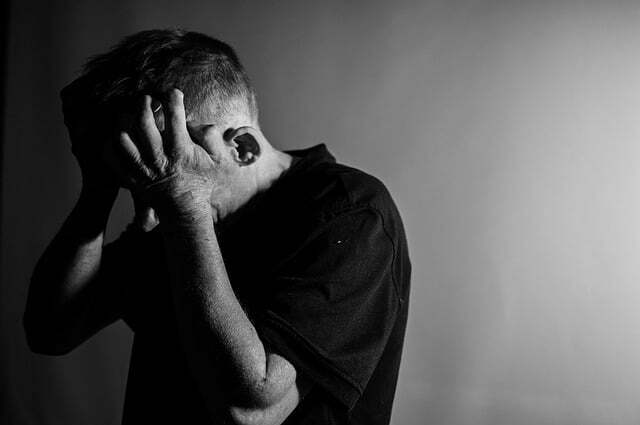 There are different types of anxiety disorders including: generalised anxiety disorder, specific phobia, panic disorder, agoraphobia, obsessive compulsive disorder, social anxiety disorder and post-traumatic stress disorder. If anxiety is affecting your day-to-day life, Kristina can help. She can work with you to identify and manage the factors that contribute to your anxiety and help you to develop effective coping strategies. Together you can create a personalised plan to bring about healthy change and explore techniques and tools that will help you manage stressful situations in the future. Kristina will help you to keep on track with your goals, provide on-going support and help identify any potential barriers to improvement. Kristina Challands is trained and experienced in treating anxiety in its many different presentations. Call on 0487 480 120 or complete our online booking form to make an appointment with Kristina Challands to begin the process of working through your anxiety. 2 NICE. (2011). Generalised anxiety disorder and panic disorder (with or without agoraphobia) in adults. London: National Institute for Health and Clinical Excellence. 3 Hambrick, J. P., Comer, J. S., & Albano, A. M. (2010). Cognitive–behavioral treatment of anxiety disorders: Model and current issues. In H. B. Simpson, Y. Neria, R. Lewis-Fernandez & F. Schneier (Eds. ), Anxiety disorders: Theory, research, and clinical perspectives (pp. 204-215). New York, NY: Cambridge University Press. 5 World Health Organization. (2008). ICD-10: International statistical classification of diseases and related health problems (10th Rev.). New York, NY: Author.